The National Living Wage (workers aged 25 and over) increases to £7.83 from £7.50. The standard adult rate of National Minimum Wage (workers aged between 21 and 24) increases to £7.38 from £7.05. The development rate (workers aged between 18 and 20) increases to £5.90 from £5.60. The young workers rate (workers aged under 18 but above the compulsory school age who are not apprentices) increases to £4.20 from £4.05. The rate for apprentices will increase to £3.70 from £3.50. Businesses should review their pay rates to ensure that they are aligned with these increased rates. More information on the National Minimum Wage and National Living Wage can be found on the Gov.UK website here. 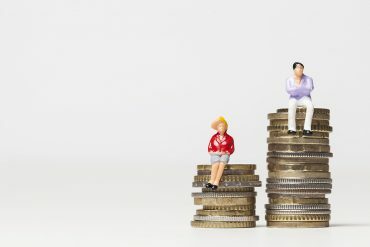 In April 2017 the government brought in measures to reduce the gender pay gap within UK businesses and organisations by requiring every company with over 250 employees to report information concerning the size of the pay gap between men and women. The idea of the scheme was to make the information publicly available for customers, employees and the general public to encourage companies to improve the gender pay gap within their firm. The company results must be posted on the company’s own website and a government site. The deadline for submitting the results was 4 April 2018. More information on gender pay gap reporting can be found on the ACAS website here. If you need advice on an Employment matter the Thompson Smith and Puxon Employment team can be contacted on 01206 574431 or by email at info@tsplegal.com. The content of this update is for information only and does not constitute legal advice. It states the situation as at April 2018. We recommend that specific professional advice is obtained on any particular matter. We do not accept responsibility for any loss arising as a result of the use of the information contained in this update.